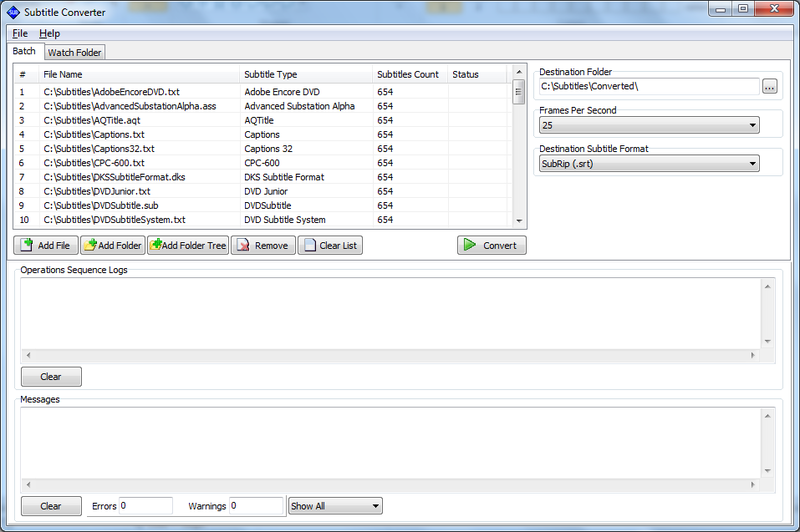 Subtitle Converter is a powerful solution for subtitles conversion between some of the most popular subtitle formats. For manual conversion, the solution offers a Batch mode, where all subtitles are manually added into a list and converted. For automated workflows, the solution offers a Watch Folder conversion, where source watch folder and destination folders are set and the subtitle conversion is performed automatically. The automated Watch Folder mode offers simultaneous multiple watch folders conversion, enabling the product for integration in different automated workflows. The average subtitle conversion time is less than a second, allowing conversions of huge subtitle arrays for minimum time. 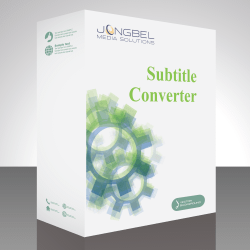 Not sure how Subtitle Converter will work for you? All operations for both Batch and Watch Folder modes are logged into a Operations Sequence Log view, available for review and saved into a file. All informational, warning and error messages are logged into a Messages view, available for review and saved into a file.